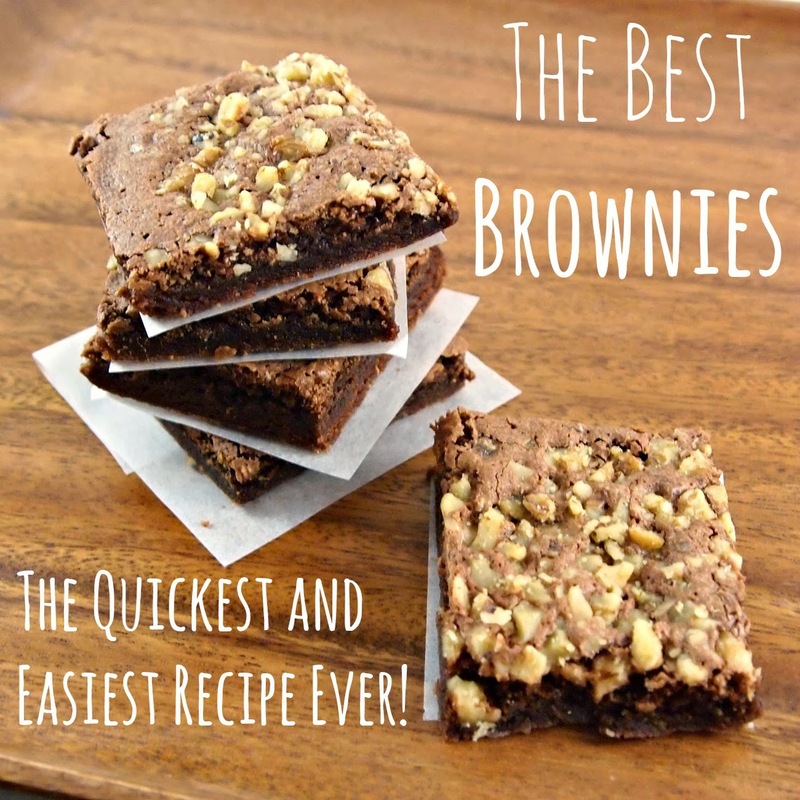 Bonus that they're also the quickest and easiest brownies ever! This recipe originally came from my mom's high school friend. While visiting her friend's house one day, the girls made a batch of brownies. My mom was amazed at how everything was just thrown into a bowl, stirred, then baked. Wonderfully fudgy, moist brownies with practically no prep time. And unlike brownie mix with its long list of unpronounceable ingredients, you know what's going into these. Pour into a greased and floured (or spray with a cooking spray that contains flour) 7" by 11" or 9" by 9" pan. Bake for 25-30 minutes in a 350 degree oven until a toothpick comes out clean. Reduce the oven temp to 325 if using a dark nonstick pan. Try to let them cool for a little before digging in! My son hates nuts in baked goods, but since I love them, I didn't want to leave them out. So instead of mixing the walnuts into the batter, I sprinkled them on top over half of the batter after pouring it into the pan. That way we both get to enjoy the brownies! Best of both worlds. Thank you so much for your sweet words Lorraine! I'm jealous of your monkey pod finds!